5 Reel, 15 Payline non-progressive Video slot with a Bonus Feature, Free Spins and Multipliers. Betting Range Play from 0.01 up to 2.00 per line bet and wager from 1 up to 5 coins per payline. The Wild symbol acts as a substitute for all other symbols to complete winning combinations but does not substitute for the Scatter symbol. Only one winning combination is paid out per payline. Should there be more than one winning combination on a payline the payout will be the value of the highest combination only. The scatter symbol may appear anywhere on the reels provided 3 or more Scatters appear which will activate the Bonus Feature game. 3 or more Winners Circle Pyramid Scatters anywhere on the reels activate the Bonus Feature game. 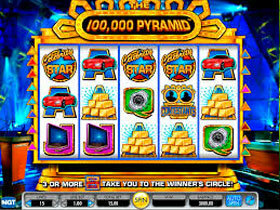 The Winner’s Circle Pyramid allows players to win up to 36 Free Spins along with 9x Multipliers. The game begins with 2 Free Spins and a 1x Bonus Multiplier value, players can then choose 5 Scatter symbols which can increase the amount of Free Spins and Bonus Multipliers. During the Free Spins the Bonus game cannot be re-triggered. But interesting is that the paytable changes during the free spins round. The Free Spin Bonus Round is played on the Bonus Reels with the Bonus Multiplier. 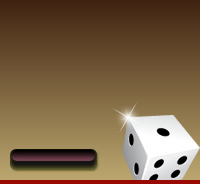 All winning combinations during the Free Spin games will be multiplied by the Bonus Multiplier. When the Free Spin Bonus Round ends, players will be returned to the regular game and the Free Spin wins get added to the win total.